Considering the amount of time we spend on our mobile devices these days, being able to print wirelessly and directly from our smartphones makes a lot of sense. If you own an iPhone and want to be able to print directly from it, there are several ways you can go about doing that and this article will show you how to print from your iPhone. These days there are printer companies who make printers that utilize Apple’s AirPrint feature. 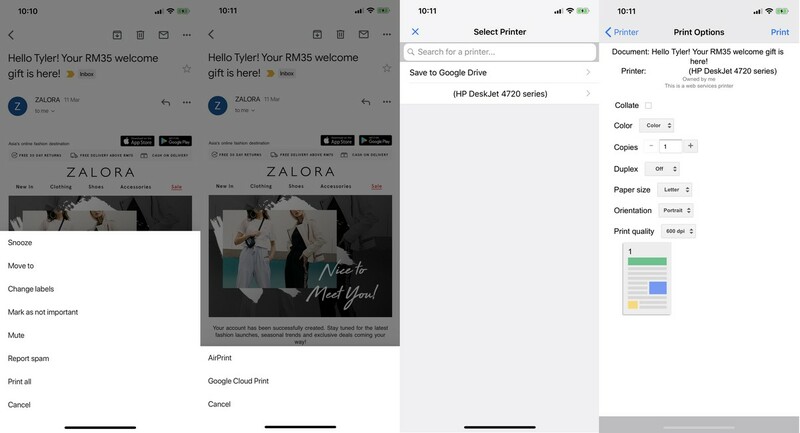 This means that users on the iPhone or iPad will be able to wirelessly print to their printers without needing to download an app or go through a complicated setup process. Make sure the printer you own supports AirPrint. Turn the printer on and check if there is enough paper and ink. Make sure that the printer and your iPhone are connected to the same WiFi network. Tap Printer to bring up the list of connected and compatible AirPrint printers. Choose the printer you want to print from. Adjust the print settings to what you need. Tap Print and you should be good to go. 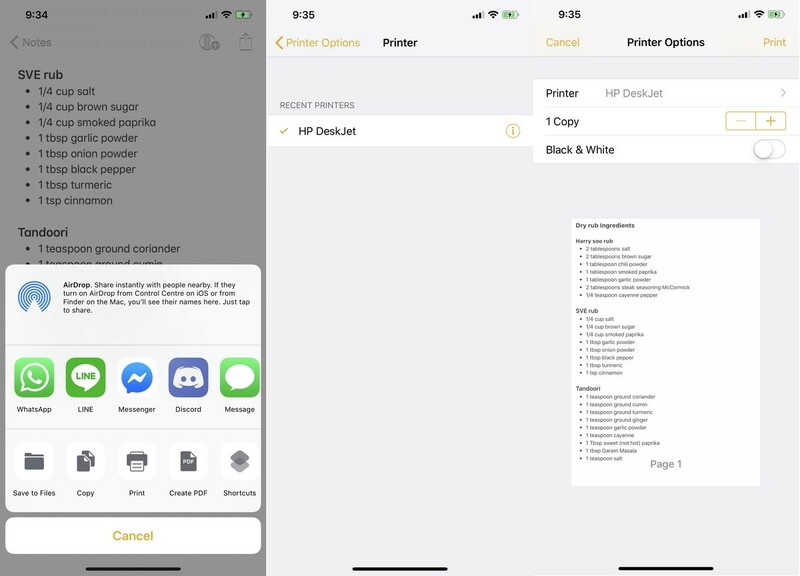 If you do not have a printer that supports AirPrint, there is a good chance that your printer maker could have a mobile app that lets you print from your iPhone or iPad, so search the App Store for your printer app. In the event that your printer maker does not have an app for the iPhone or iPad, below are some of the alternatives you can consider. Check to make sure your printer is an email-compatible printer. Select the file that you want to print. Enter the email address of your printer. If your printer has been set up correctly, your emailed files should begin printing. Email printing, for the most part, should support more commonly-used file formats, such as Word documents, PDF files, and images, so you should not really run into many issues with it. 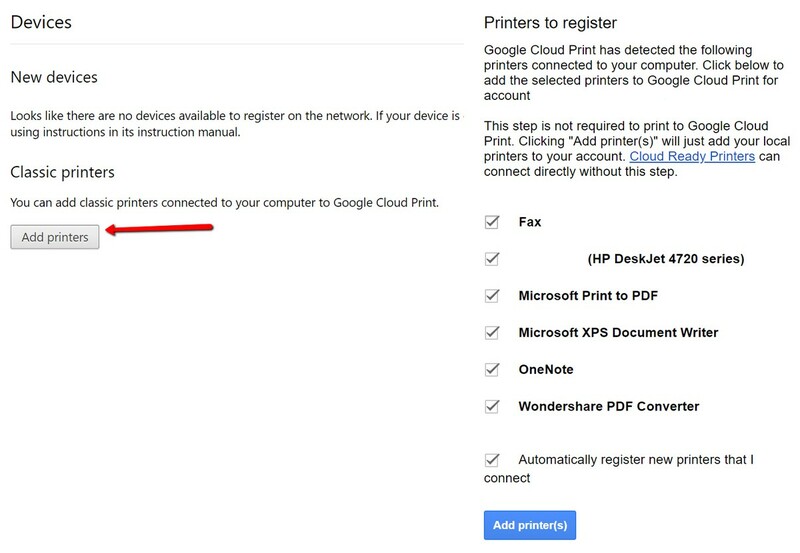 Google Cloud Print is an alternative to AirPrint and also printing from email. It will require a bit of setup and for the most part, it only works with Google’s products and services. If you do use Google’s products quite often, like Google Docs, Google Sheets, or Gmail, then this could be worth checking out. Make sure that your printer is connected to your home or office’s WiFi network. Launch the Chrome browser on your desktop. If you have a Cloud-ready printer, you should see it listed under New Devices. Tap Manage and then in the Confirm Registration box, click Register. Follow the instructions on your printer’s screen to complete the registration process. Under Classic printers, click Add Printers. Select the printers you want to add. Tap Print and you should be all set.